By taking the time to learn about your specific childcare requirements we gain an insight that we use to find the nanny to best suit your needs. We understand that every family is unique. That's why we've put together some advice on nannies to help you decide whether a nanny is right for you. I would like a nanny, what do I do next? 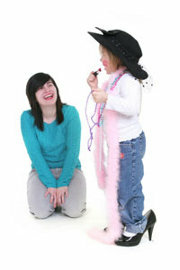 If you want to use our service to find a nanny then please contact us so we can get the ball rolling. Once you are registered we will search our database of nannies and send you details of those that most suit your personal circumstances. You can then contact us about any you are interested in and we can take the process further.